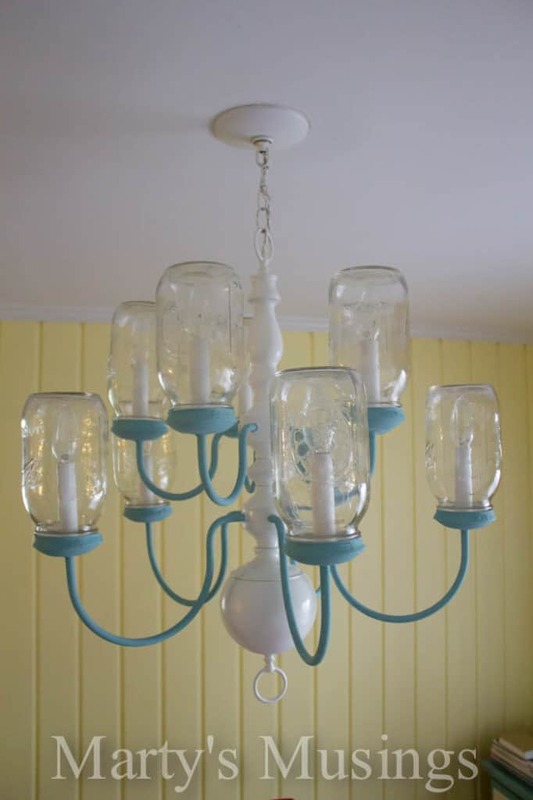 and the Mason Jar Chandelier. 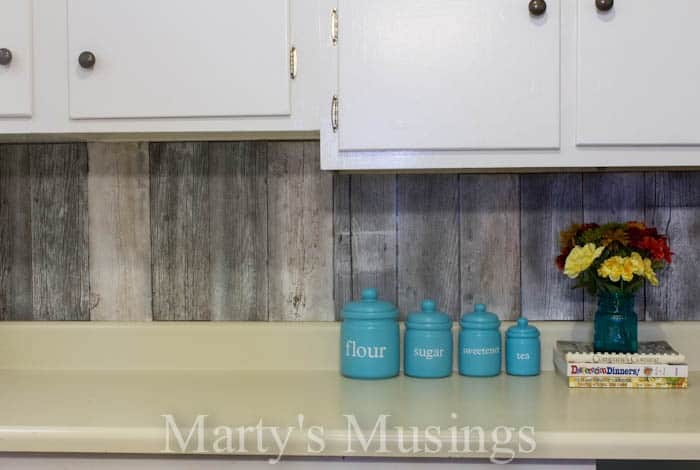 Then last week I shared our Fence Board Backsplash, a totally cool idea for using fence post scraps in the kitchen. 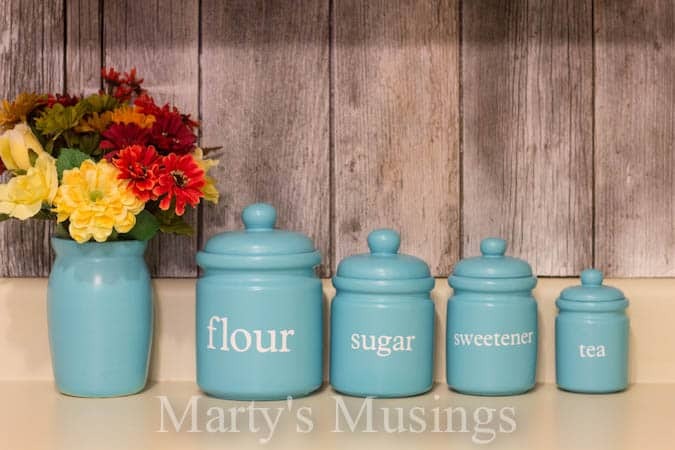 One of the smaller projects that gave our kitchen a pop of color and fun was the whimsical canisters. My husband spray painted the canisters first. Then I used my trusty Cricut to cut the letters out of white vinyl. You might remember I used the Cricut for our family gallery wall and my scrapbook room quote. I love adding unique details to a room by personalizing the accessories. We are making over our kitchen one step at a time! I’m going to share the fabric soon that I used as one of my first choices to pull the room together. 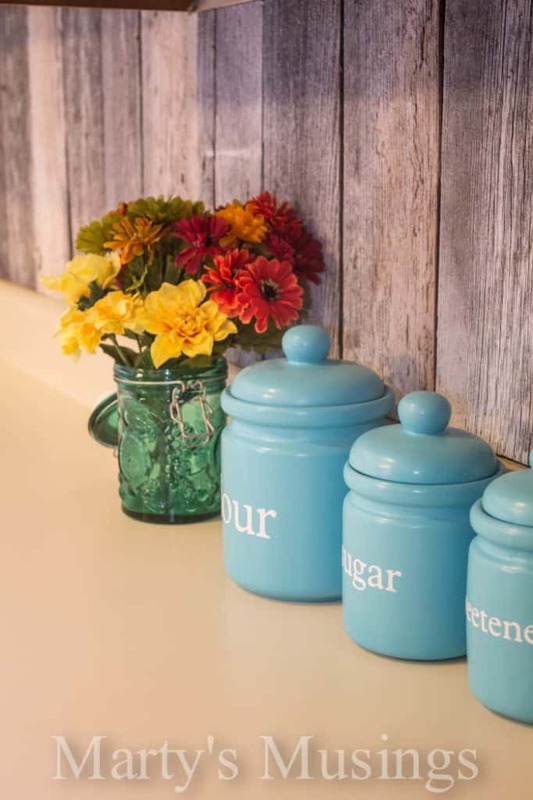 What is keeping you from making small changes in your home or decor? For the vinyl letters I used The Plantin Schoolbook font and adjusted the size (flour, 1 1/2″, sugar 1″, sweeter and tea 3/4″). I love your canisters! Which font did you use? Hi, Tammy! I think the font was either Base Camp or Plantin. It was one of the more traditional fonts. Sorry it took me so long to respond! Thank you, Marty. They are super cute. I can’t wait to try it on ours. 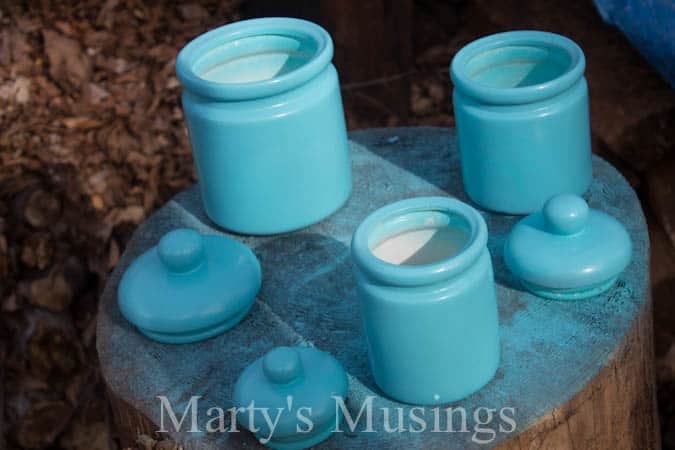 I love the idea of your painted canisters &would love to do something similar. When I painted some tins with spray paint, they smelled like spray paint inside & I couldn’t get rid of the smell. What did you do about the inside where you got some of the paint. Rita, when I spray painted our canisters some of the overspray did get inside so I washed it well and chipped off the paint. I never had a problem with odor. Are yours ceramic or another material? Where did you get the canisters that you spray painted? Please tell me the brand of spray paint and the color. I lOVE it!! I’ve looked everywhere and cannot find that color of Turquoise! Hi, Jan. Sorry for the delay answering you. 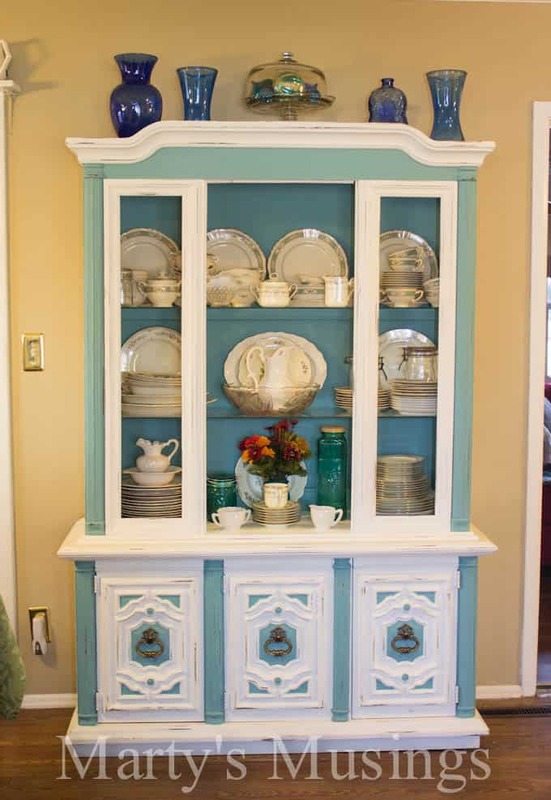 I think the spray pray we used was Design Master and the color was 741 Turquoise, satin finish. I believe I got it at Michael’s but you could search online and see where you can find it locally. Good luck! 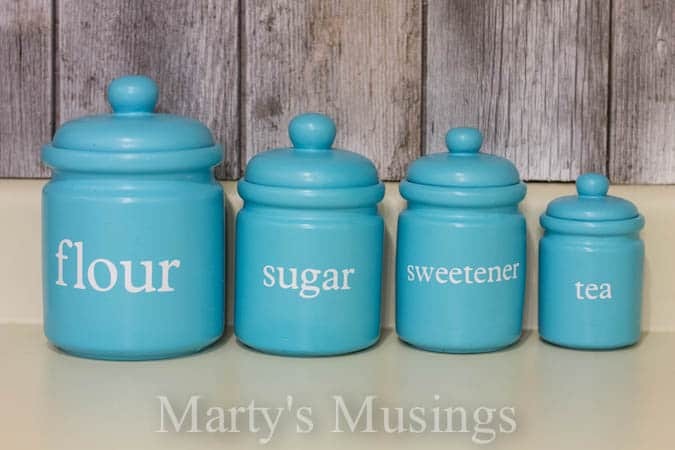 I just love this canisters 🙂 Thanks for sharing.